Datsun has been encouraging the young achievers in India to work toward realising their dreams. 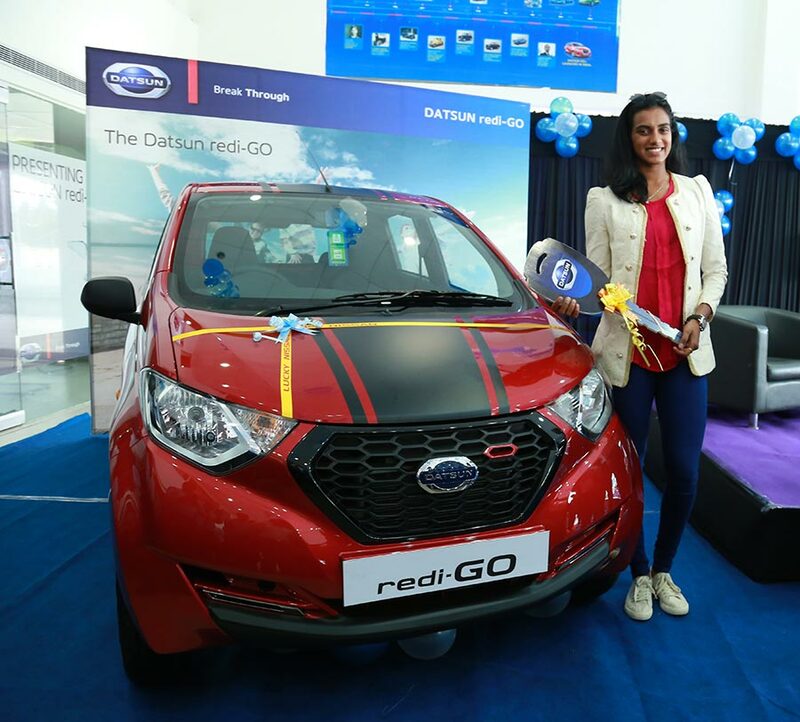 With Datsun redi-GO SPORT we are committed to providing mobility to Young India, the go-getters of the country, with an outstanding product that has attractive features and dazzling style. And we are proud to give one to P.V. Sindhu who has brought laurels to this country for her sporting excellence. I am excited to get the peppy-looking Datsun redi-GO SPORT. The design evokes a bold, can-do attitude and I am looking forward to driving the car. It will also enable me to move around for training and help me strive for further success in my sport. The sporty-themed redi-GO is priced at INR 3, 49,479 (ex-showroom, Delhi).